Looks like I’ve been slacking off here. That’s because I have been. However, I’ve been busy elsewhere doing other things. I’ve just finished the first round of proofreading the galleys for my forthcoming poetry book, The Uneaten Carrots of Atonement. I sent the edits back yesterday morning and hope to get back another set of galleys for one last chance to pass my critical eye over the manuscript. If all goes well, the book should not be too far away. Then I’ve also been busy all summer working on the sequel to The Crafty Poet: A Portable Workshop. It’s a ton of work to organize the material of the past three years, material compiled from my Poetry Newsletter and the Poet on the Poem series I run here on this blog. 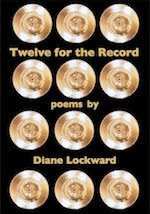 It now looks like the book will be ten sections, each with three Craft Tips, three model poems, three prompts, six sample poems, and one Bonus Prompt. The structure will be similar to the original Crafty but will be a bit expanded. My intention is that this new book will continue the work of the original Crafty but can also stand alone. I have all the material put together except for one last Craft Tip which I expect to receive in a few weeks. Now I'm working on the bios. Then onwards to the Table of Contents, Index, and Credits. 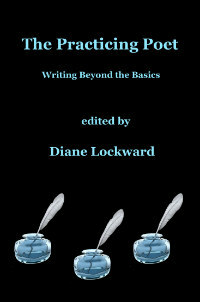 And I’m still revising and editing this new craft book, so a good deal of work remains to be done. Once I have the first draft in pretty good shape, I will put out a call for submissions for the sample poems. Stay tuned for that. So it hasn’t been all lallygagging around and eating bonbons here.